Caveats must be made; acknowledgements uttered however as we – the big humanity we – look toward not only the future of weaving but the future of we, of humanity and civilization. Black and white no matter how glorious each may be, are not the only options. This has long been my stance regarding the appreciation of rugs and carpets but it also means we must acknowledge there is no one way, no one authentic way of making carpets. To claim one method is more authentic than another is a bit reductive – a conclusion I credit to the food critic Peter Meehan – for in doing so one must choose techniques – some which have endured as traditional, some lost and refound – from another time or perhaps place and then follow the conflated and potentially misguided notion that they are ‘the best’. 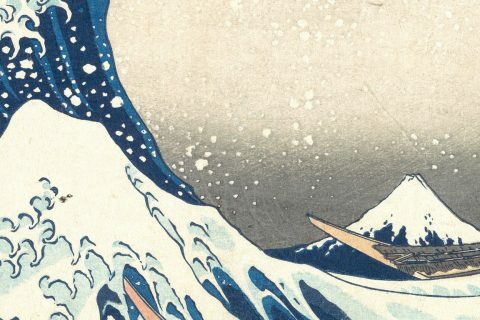 While simultaneously equating the superlative with the authentic, much of what is today attributed as ‘the best’ is nothing more than re-imagined versions, mimicries of the technology and aesthetic of another era. We are seemingly stuck without a clearly defined look or aesthetic; save unoriginality there is no leitmotif for this particular time. This is of course not to say things cannot be authentic, to their time and place, but beyond some hazily defined period or distance, the authenticity must and does wain. To continue with the food analogy, while it is that Neapolitan pizza can be made anywhere globally with the very same – if not less fresh – ingredients found in Naples, is not one made in Naples somehow more authentic, more true, more honest. Of course anyone can make bread topped with tasty morsels just as anyone can make a carpet a la façon polonais, yet without l’esprit du terroir, the spirit of the soil, what have we other than a faithful – if not also debatably improved – reproduction. Persian carpets from Iran, Tibetan carpets from Nepal, Anatolian from Turkey, so on and so forth. I believe this to be the crucial factor in something being authentic, genuine, real, et cetera. Of undisputed origin; genuine. Made or done in the traditional or original way, or in a way that faithfully resembles an original. Based on facts; accurate or reliable. This is all well and good, yet it assumes we all think this way; we do not. It also ascribes a degree of arrogance or elitism to things more authentic. Imagine if you will a Hipster conversation on any topic, or reading more than one article on The Ruggist in a day. While one must concede genuine elitism, genuine authenticity where it is due, e.g. Tibetan carpets from Nepal, one must also be aware that the nature of ‘we’ as it is today is to borrow credibility – authenticity if you will – whenever possible. This is inherent to advertising, promotion, public relations, and propaganda of forms: traditional, social media, and newfound or yet developed. It is also reflective of the aspirational nature of a consumption economy and the sales processes therein. Furthermore, to the example of Nepali made Tibetan carpets is crossed-woven more authentic than uncrossed? Yes or no. And what of warp-faced back carpets… ? When will the pedanticism end? 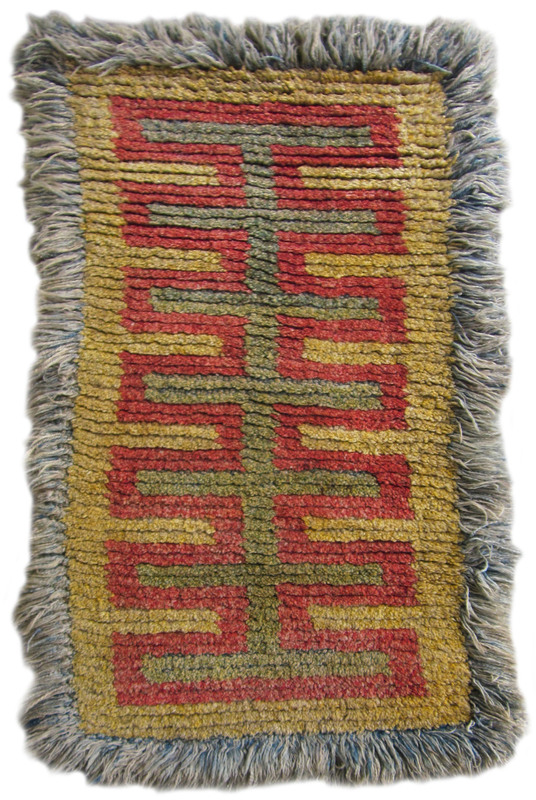 Nineteenth century Tibetan Warp-faced back ‘Wangden’ Temple Runner (0.81m x1.47m – 2’8″x4’10”) as exhibited by Nick Wright of East of Bosphorus during the 2016 New York International Carpet Show. | Image courtesy of Nick Wright/HALI. On one hand we know how to make, by example, authentic Persian carpets in Iran yet the constraints of civilization are currently such that there are simply not enough for everyone, assuming of course one desires the aesthetics of such a carpet at all. A truth elitists routinely fail to acknowledge is that while they might speak haughtily of their niche saying ‘it’s the only thing’ to posses, they simultaneously secretly or otherwise would rather not everyone have one. Snobbery at its finest. ‘If you cannot say what you mean, your majesty, you will never mean what you say and a gentleman should always mean what he says.’ – Reginald Fleming ‘R.J.’ Johnston as played by Peter O’Toole in ‘The Last Emperor’ directed by Bernardo Bertolucci. I mention marketing et alia for I recently wrote an article for the ‘Spring 2018 | Care and Cleaning’ issue of Rug Insider Magazine titled ‘Exploring Viscose!’. While conducting research for the article I encountered the first pushback I’ve encountered since taking this writing thing far more seriously. In short, I was told that calling viscose rugs ‘cheaper or more ‘popularly priced” was not a true reflection of the ‘high-end’ and ‘high quality’ nature of a firm’s product. Clearly I was not winning anyone over by stating facts such as ‘Depending on the grade of viscose used, its cost can be comparable to some grades of wool, however when comparing a 100% natural silk carpet to a 100% viscose carpet of identical construction, the ‘Silk rug will always be more expensive.” or ‘These nuanced distinctions are what make some people uncomfortable with this discussion for it centers heavily on perception. 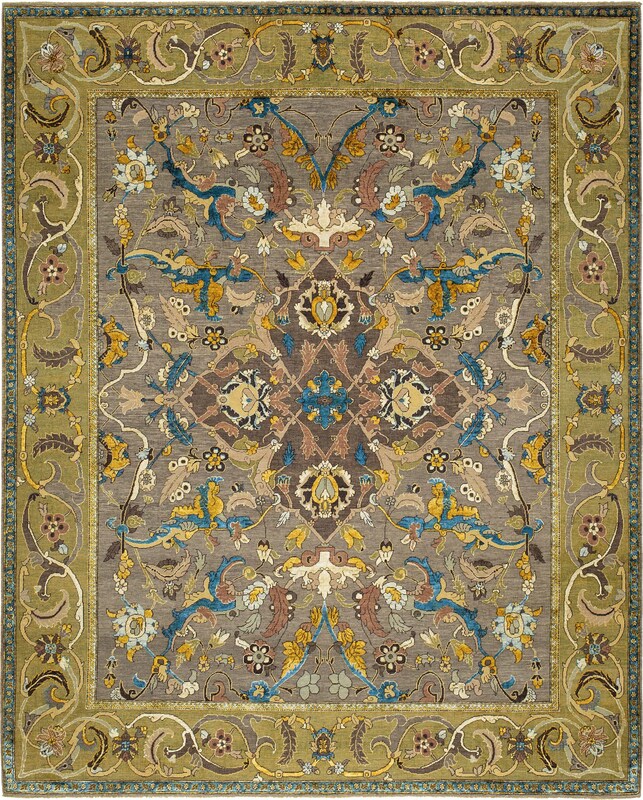 In the rug industry cinenascope-wide analysis there is a continuum of retail rug prices ranging from say $500 for a polypropylene machinemade 9×12 on Way-fair to an arbitrarily picked so-called luxurious pricepoint of $2500 or $7500 for a handknotted viscose 9×12. For those who might only spend $500 on a rug, the latter prices do seem luxurious, if not ludicrous, but the realist knows $2500 is simultaneously inexpensive, even cheap to someone who would or could spend $10,000, $20,000, $30,000+ for something of comparable size; and people do.’ This does not even get into the discussion on cleanability, but I digress. To make a long story short (too late!) that firm did not participate in the article because the public relations person was unable or unwilling to engage in a genuine and authentic, honest and factual on-the-record discussion about the merits and caveats of viscose. I found this… …disheartening; it took me a few days to recover the spirit to finish the article. In my time as a rug salesman either at retail, trade-only (my best performance), or wholesale, or as a wide-eyed and naïve now failed rug maker, or as The Ruggist I have always tried to speak the truth about the wares I am selling or talking about in order to convey the authenticity of that particular piece. I’ve not always succeeded. Was I truly and genuinely, authentically pleased by the Indian made ‘Cottage’ quality hooked rug I sought to produce? No, they never truly hit the mark. Have there been times when I debated conflicts of interest with articles? Yes. 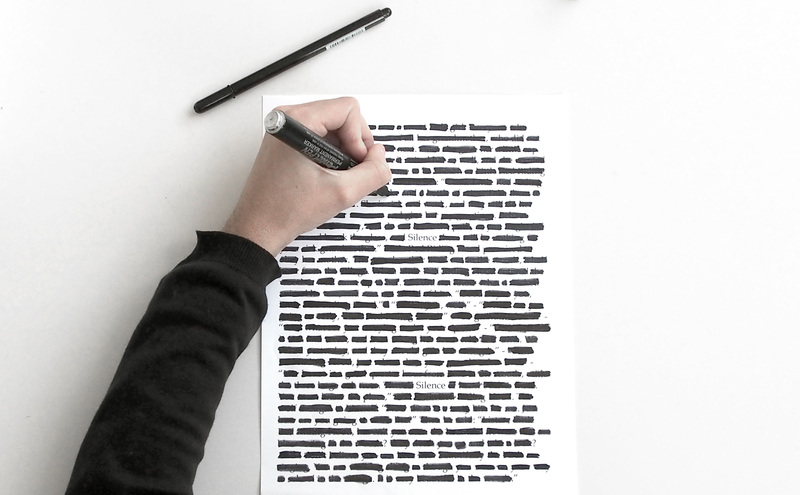 Is ‘sponsored’ – that is purchased – content in keeping with the principles behind The Ruggist? No. Can I accept a paid trip and really be unbiased in my opinions and writing? Yes?! But it should definitely be disclosed as to allow the reader to gauge bias for themselves. Can I write marketing copy for others while writing The Ruggist and editing Rug Insider? Yes I can, but I do not believe I should. On this latter point, I know specifically of the internal conflicts and propagandian nature of writing a press release for a client, then likewise promoting it while obscuring the connection. I’ve briefly managed social media for a client acting as two distinct accounts, seemingly unconnected by outward appearance only to find that act duplicitous as the connection was undisclosed. I’m not even certain disclosure alone would suffice and so it is that I turned away from such endeavours altogether. The Ruggist and now editing Rug Insider feel right to me, to who I am, to my authentic self; pretending to be another, inauthentic at best. Take for example this real world social media dialog (A screen capture is available as primary source documentation.) which has been edited for anonymity: ‘COMPANY A: Thank you to COMPANY B for featuring our rug in the COMPANY C article about something with COMPANY D.’ No big deal, right? Unless of course I tell you that COMPANY B manages and produces the social media content for either COMPANY A or C or both. Only COMPANY D stands apart with no real conflict. Furthermore, what if COMPANY B enjoys an influential reputation? If you’ve read that and thought to yourself: ‘Is he talking about us?’ Yes I am . If you read that and wondered: ‘What the hell is he talking about?’ I encourage you to dig more deeply into the people behind the media, social or otherwise you choose to follow, interact with, and trust. This is very challenging for me in the context of selling authenticity. And so the conundrum is as such. What does one do with a public relations person divorced from reality? Or with marketing and advertising copy which espouses everything as a talking point, everything as the hyperbolically best, everything oozing whatever the trendy buzzword du jour happens to be. This is currently most likely Hygge or the obnoxious ‘boho-chic’ by the way. Moreover how is it that nothing, nothing, nothing is ever bad? How does one differentiate between carpets more honest, classed potentially as more authentic or simply those paired appropriately for the needs and wants of the customer, when by reading the advertising, marketing materials, press, and opinions of those not unlike myself, one could easily be forgiven for the mistaken belief every carpet, from schlock to irreplaceable is museum calibre? How does one trust the information one reads on social media or the internet or any media if the source of the information is conflicted and obscured, intentionally or otherwise? 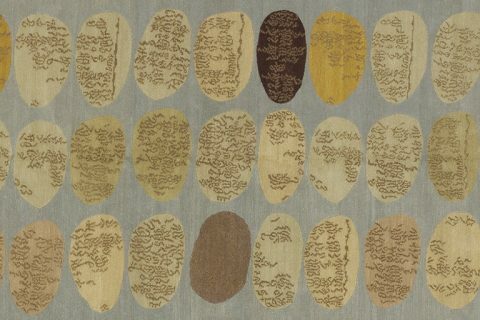 Interwoven authenticity was chosen as the title for this thought piece as the marketing, et alia of rugs and carpets is directly tied to the particulars of a physical carpet or rug. 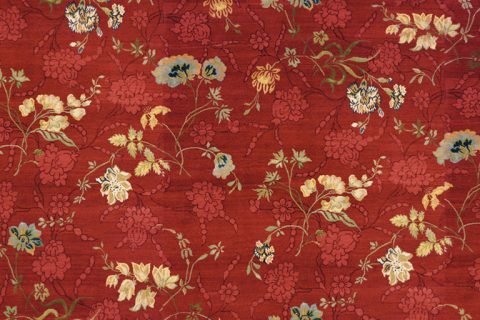 If one is making or selling an authentic carpet – whatever that truly means, it must follow that we speak genuinely, honestly, authentically about said carpets. These things are not independent, and moreover attempting to separate the two means that someone – usually a customer of any level – is not being presented the full picture, which is to say they are uneducated or undereducated consumers. Weariness must be paid to claims faux or genuine. Voiced opinions must be tied to the source just as ‘authenticity’ in its convoluted meanings must be tied to its source. Facts must outweigh opinion in technical matters, relegating the latter to concerns more aesthetic and subjective. For authenticity to exist, we must revere and foster it in all forms, no longer borrowing credibility or aspiring to be more or everything to everybody, rather speaking truthfully, honestly, and transparently. For if we genuinely believe in ‘educated consumers’ we must also genuinely believe in the sharing and spread of knowledge for these are not distinct concepts. For the public relations person who told me the story of viscose was ‘old’ and need not be told again, I respectfully submit it is a story equally as worth telling as the tales of inferior, better, worse, or superior quality craftsmanship and the like. Why? Because for consumers to be educated they must be provided all of the facts and information, only then can they make an informed purchasing decision. Period. I recently read ‘The Art and Craft of the Machine’ written by Frank Lloyd Wright in 1901 and in it Wright waxes poetically about how ‘the machine’ has ‘broadcast degradation of every type and form sacred to the art of old’ before lamenting the pastiche by quoting Marshall Field: ‘A good copy is the best we can do.’ How similar the song of the siren one-hundred and seventeen years hence. Whether or not the consumer then chooses to buy a less expensive product or one more costly, one knock-offish or original, one faux, one plastic, one, one, one, one of any imaginable form of authenticity (Yes I am saying a machine-made carpet manufactured of polywhatever can be authentic.) is of little concern so long as they were provided with information: pertinent, tangental, irrelevant or otherwise. I am a rug snob. I’m also a realist and know that the better place to rest salt-uncrusted muddy slushy and snowy winter boots is not some rarified authentic Tibetan, Persian, Anatolian, or where have you rug, but rather an authentic plastic dust coloured shag that can be hosed down come spring. Word! As is said. Previous Post:Crossroads and Avenues | Excelsior!